Just in time for New Year’s! 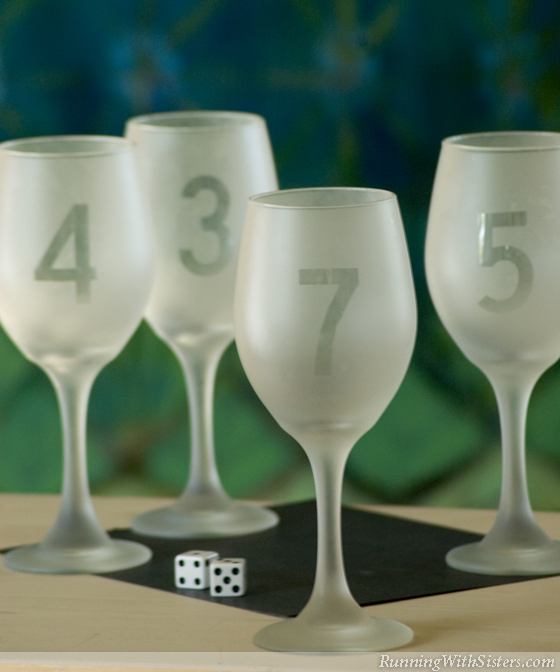 Etch a set of numbered wine glasses for your next party, and you’ll never lose your glass again. Cheers to that! 1. Wash and dry the glasses thoroughly. Center a die-cut number sticker on each wine glass. Be sure to rub down the edges completely so the etch cream won’t seep underneath. 2. In a well-ventilated area, don your gloves and paint the Armor Etch Cream onto the entire surface of a wine glass. Dab the cream on thickly to avoid streaks in the etching. Repeat for the rest of the glasses. 3. Wait 5-10 minutes, then rinse each glass thoroughly (be sure to wear your gloves!). Peel the number stickers off as you rinse to ensure the etch cream is completely rinsed off and each glass is completely clean. 4. Dry your glasses (the etched image won’t appear until the vase is completely dry), then celebrate with a bottle of wine! Sticky Note: If you need to reposition the stickers while making your design, use rubbing alcohol on a cotton swab to remove any tape residue that might interfere with the etching cream.